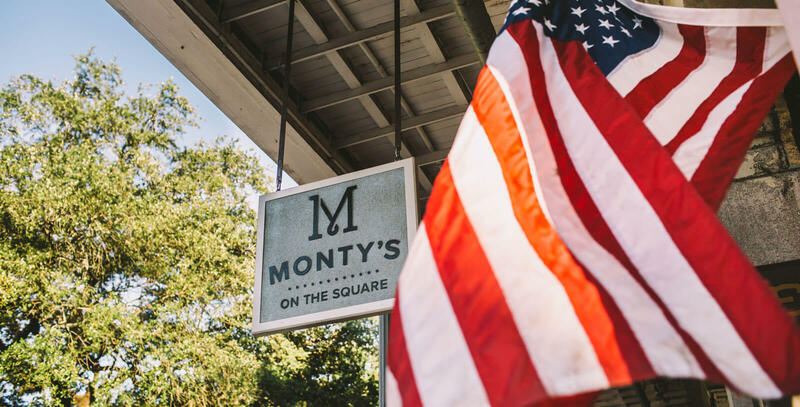 Come to Monty's on the Square to experience a very unique and polished, but casual dining experience. 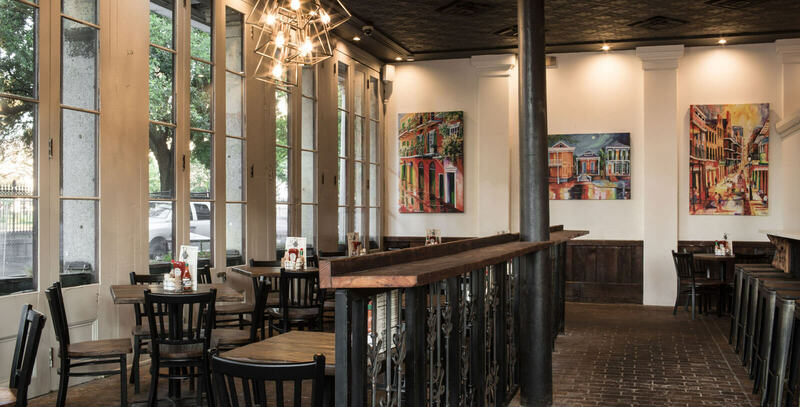 Located on the historic Jackson Square, we will leave a timeless impression with our chef-driven breakfast, brunch and New Orleans classics with a modern twist. 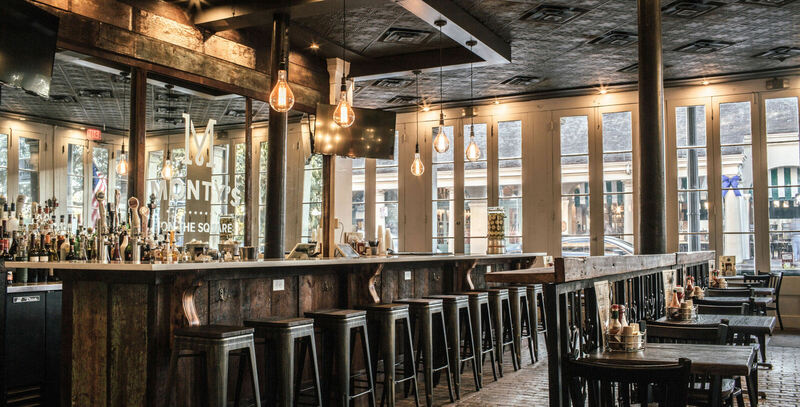 We also offer a variety of handcrafted cocktails and a great local craft beer selection. A spin on the traditional New Orleans beignets. Thin, French fry-style beignets topped with powdered sugar. Two eggs your way, choice of grits or potatoes and bacon, sausage or ham. Served with a biscuit. 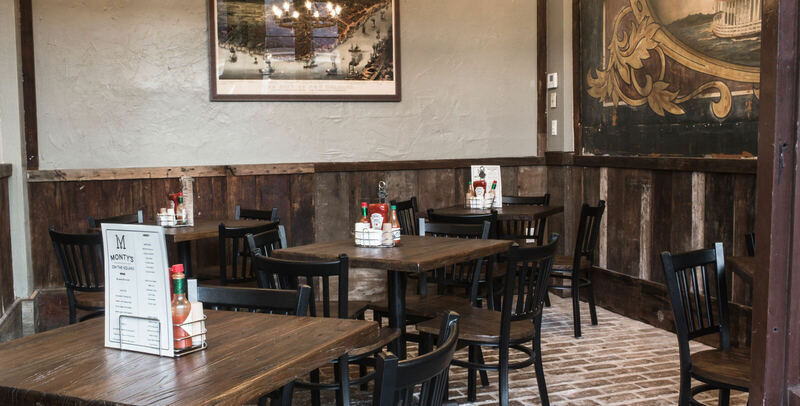 Buttery biscuits topped with our house-made country sausage gravy and served with choice of bacon, ham or sausage. Two eggs your way, Southern fried chicken with house-made country gravy. 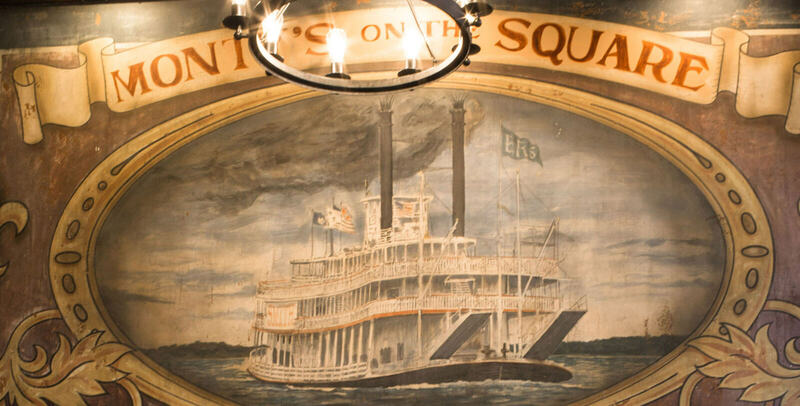 Choice of grits or potatoes and a biscuit. Sweet cream infused pancakes with choice of bacon, sausage or ham. *Add blueberry or strawberry topping at no charge. Sliced brioche bread soaked in our house-made Amaretto batter and served with choice of bacon, ham or sausage. *Add blueberry or strawberry topping at no charge. Traditional eggs benedict with poached eggs, grilled ham, English muffin and house-made hollandaise. Choice of grits or potatoes. Our Louisiana blue crab cakes on a grilled biscuit with poached eggs and topped with a house-made creole hollandaise. Choice of grits or potatoes. Grilled biscuit with boudin, grilled ham and over easy eggs. Choice of grits or potatoes. Egg whites with roasted red peppers, mushrooms, tomato, caramelized onion and your choice of cheese. Choice of grits or potatoes. Jambalaya with our house-made tomato basil sauce and choice of cheese. Choice of grits or potatoes. The house favorite omelette filled with choice of cheese, shrimp, lump crab meat, roasted red peppers and caramelized onion topped with our house-made tomato basil sauce. Choice of grits or potatoes. Bacon, ham, sausage, mushrooms, caramelized red onion and choice of cheese. Choice of grits or potatoes. Cajun gumbo with chicken and smoked sausage. Served with rice. Fresh Louisiana seafood and okra in a Cajun gumbo. Served with rice. Mixed baby greens, tomato, red onion, bacon bits, croutons and cheddar cheese. Served with aged balsamic vinaigrette. Slow-cooked, creamy red beans cooked with smoked ham hocks. 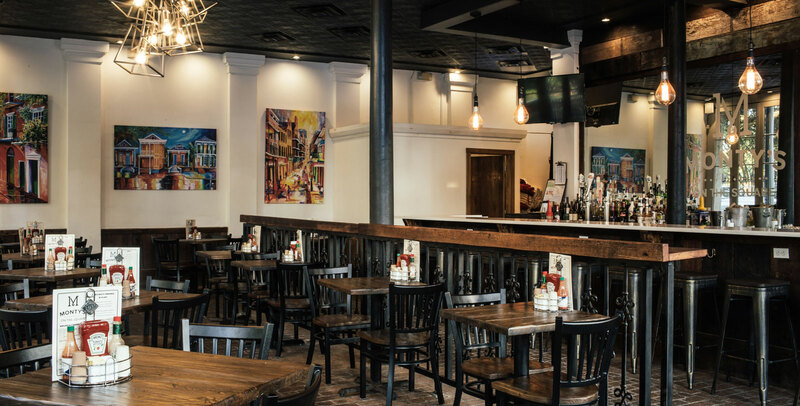 Choice of Southern fried chicken breast, citrus marinated chicken breast or just marinated chicken breast, crab boil infused sausage. Chicken and smoked sausage in Creole tomato infused rice and served with green beans. Choice of Southern fried chicken breast, citrus marinated chicken breast or just marinated chicken breast, crab boil infused sausage. Louisiana gulf shrimp sautéed in a zesty Creole barbecue sauce served over our creamy house made grits. Six juicy chicken tenders seasoned, breaded and fried. Served with french fries, sriracha ranch, creole honey mustard, and Sweet Baby Ray’s BBQ sauce. Louisiana gulf shrimp seasoned and fried to perfection topped with house made crab cake and served with seasoned fries. Penne pasta covered with delicious house made cheese sauce and Louisiana crawfish. Two Louisiana-style crab cakes made with lump crab meat and a seafood velouté base. Served with a house-made rémoulade. Fried Louisiana gulf shrimp tossed in a honey hot sauce reduction, set a top baby greens. Four fried green tomatoes set a top baby greens and finished with a house made rémoulade. Battered green beans, fried to perfection and served with our house made sriracha ranch. A combination of fresh mozzarella cheese infused with roasted red peppers, lightly battered and fried to perfection. Served with our house made sriracha ranch. 10" flatbread served on a delicious crust! Mozzarella, tomato, fresh basil with a drizzle of olive oil. Mushrooms, roasted red and yellow peppers, caramelized onions and mozzarella cheese. Ham, salami, mortadella, olive salad and mozzarella cheese. Creamy goat cheese, sweet fig jam, crispy bacon and caramelized onion. Slow-cooked beef roast with a veal demi-glace gravy, dressed with lettuce, tomato and pickle on Leidenheimer French bread. Grilled or fried chicken breast with Firecracker sauce, lettuce, tomato and pickle with your choice of cheese on a Kaiser bun. Louisiana alligator and pork sausage grilled on Leidenheimer French bread and dressed with lettuce, tomato, pickle and rémoulade. Fried shrimp, on Leidenheimer French bread and dressed with lettuce, tomato and pickle. Mortadella, imported salami, ham and mozzarella with olive salad on toasted Leidenheimer French bread. Traditional New Orleans bread pudding made with Leidenhiemer French bread and topped with an Irish whiskey sauce. Perfect for sharing, this delicious Bundt cake is served with warm whiskey pecan sauce. Kid's 12 and under only. includes choice of soft drink, iced tea or milk. Traditional French Toast served with a choice of bacon, sausage or ham. Traditional style pancakes served with choice of bacon, sausage or ham. One egg scrambled with bacon, sausage or ham, and a biscuit. Choice of pancake or French toast. House-made cheddar cheese sauce with penne pasta. Chicken breast strips fried or grilled with choice of ranch or Sweet Baby Ray’s BBQ sauce. House-made burger with choice of cheese on a slider bun with thin-cut lightly seasoned fries. 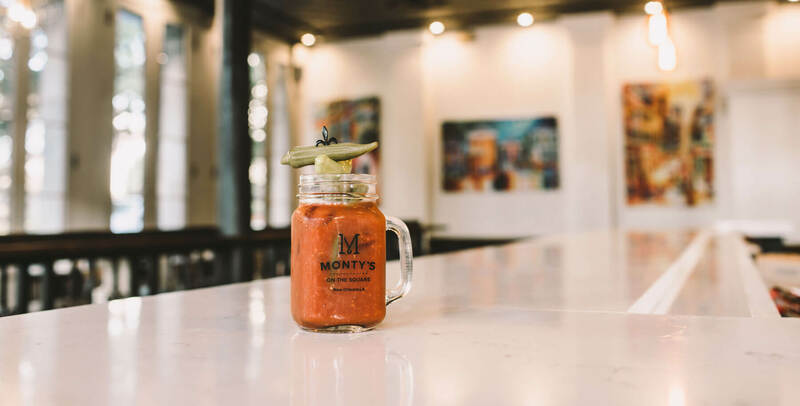 Whether you’re looking to book a space for an intimate private party or a crowd up to 100 people, Monty’s on the Square is available for all of your gathering’s needs. 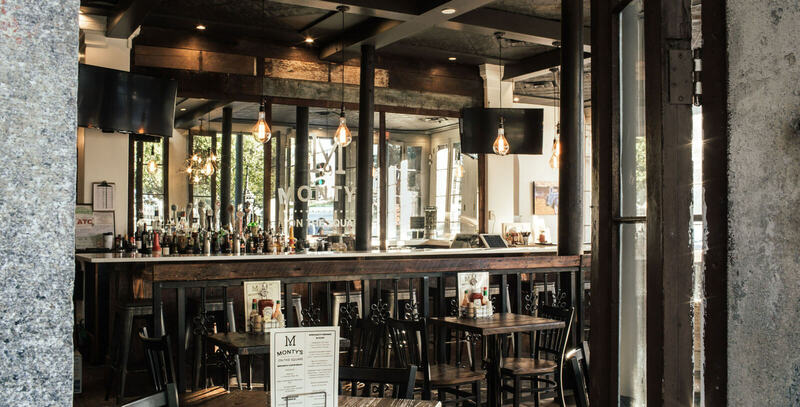 Our friendly staff, incredible food and inviting atmosphere offer the perfect combination for any occasion.